Centrally located in Taipei the Evergreen Vegetarian Restaurant is a 10 minute walk from the Zhongshan Station on the Red Line, only one stop north of Taipei’s Main Station. This ovo-lacto vegetarian restaurant is open every day from 11:45am to 9pm. 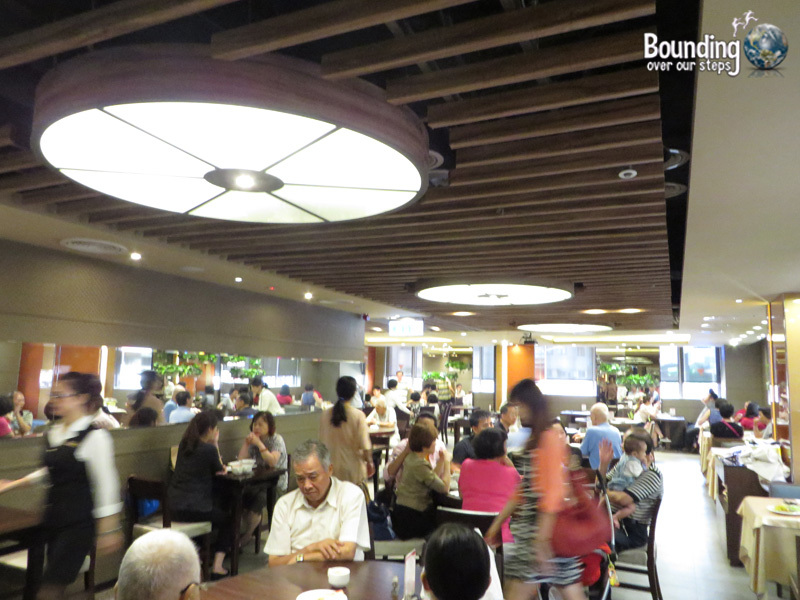 I went to the lunch buffet on a Sunday and it was extremely busy and packed, giving the place a cafeteria-style atmosphere. I was happy to see many Buddhist monks there as Evergreen Vegetarian Restaurant follows the Buddhist tradition of eating no meat, garlic or onions. 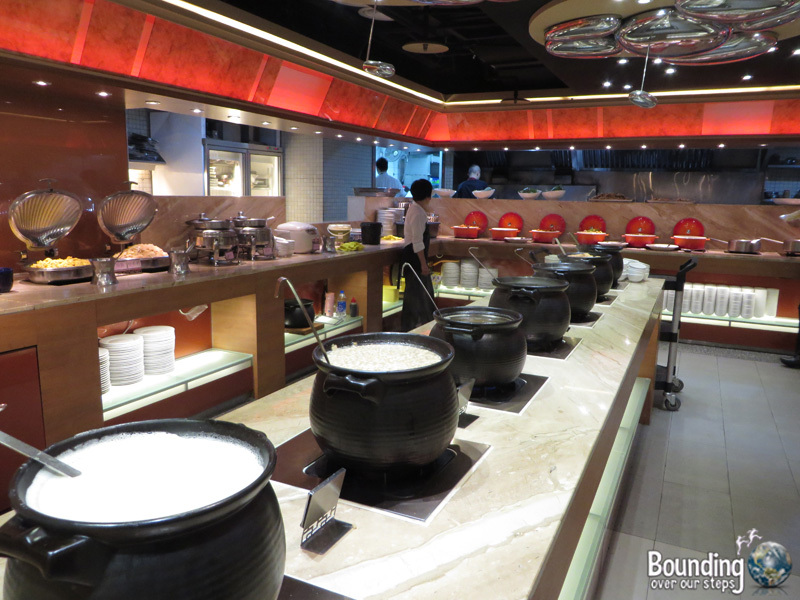 The buffet featured dishes from all over Asia, including Japanese cuisine such as sushi and sashimi, Taiwanese cuisine such a Taiwanese burritos (very delicious) and many Singaporean and Chinese traditional meals. A vast array of soups and a salad bar rounded out the experience. 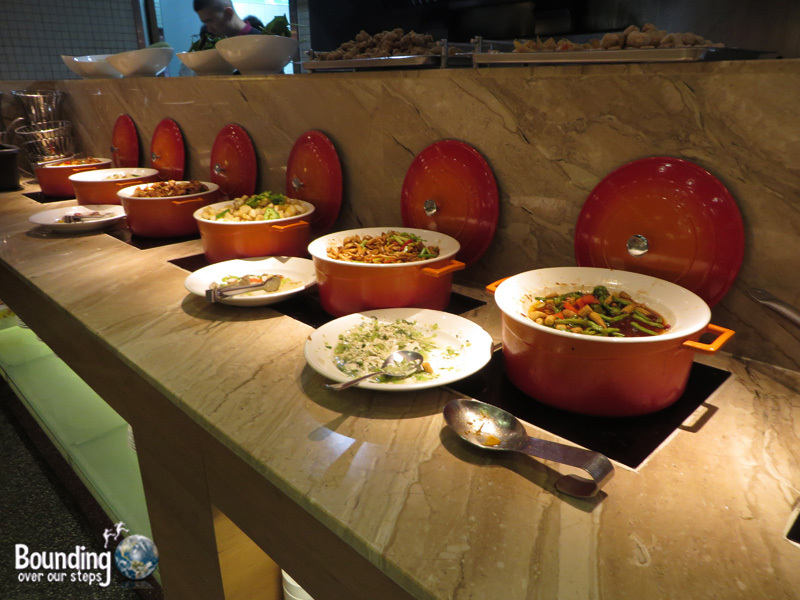 Some dishes, such as stir fries, are made to order and many are displayed for you to simply select. The desserts included fruit, cakes, ice-cream and traditional Asian desserts such as pandan-flavored jellies. As a vegan I left the restaurant with a very full belly. All the items are marked in Chinese so it’s best to ask to be sure. I made the mistake of putting a roll of sushi on my plate only to discover that it had a thin slice of cheese in it. The vegetables were fresh and I especially enjoyed the okra. I recommend trying the Taiwanese burritos, made fresh with an assortment of vegetables and a sweet peanut sauce. In a moment of bravery I discovered the “stinky tofu”, a traditional Taiwanese dish. Wow, what an unforgettable smell, but entirely vegan. Unfortunately, there was not always one serving spoon for each dish, meaning that sometimes the same spoon would be used for two or even three dishes. This only became an issue when one of the dishes, had some sort of cream on it, tainting both the spoon and the vegan dish next to it as soon as anyone used the same spoon to serve themselves. Luckily, this only caused an issue for me one time. The desserts were vast, yet the majority of them were not vegan. I enjoyed the fruit, but to be honest there could have been more selection than the four types they offered, and the tofu pudding dish topped with syrup and variously flavored jellies, sweet beans and shaved ice. Be sure to save room for this. 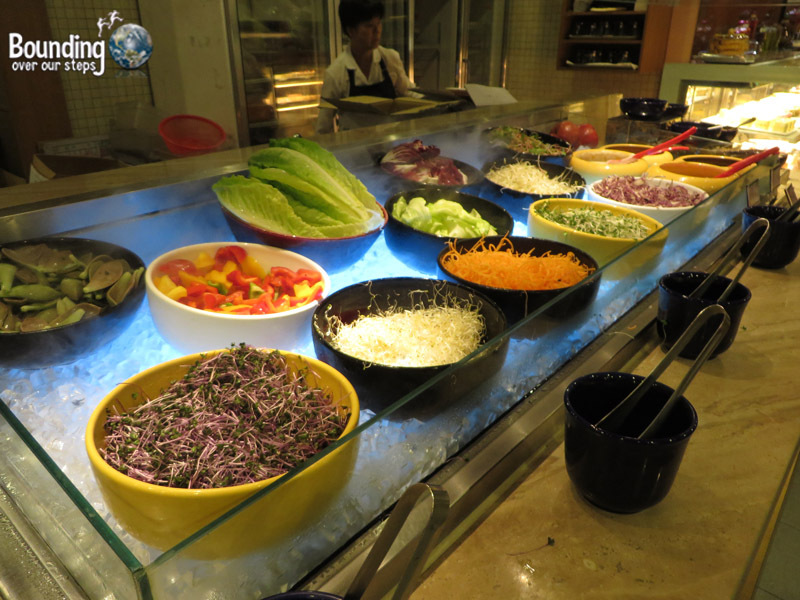 The price of the lunch buffet was comparable to buffet meals you might find in some Western countries, which are rather expensive by Taiwan standards. Vegetarians will get more bang for their buck as they have at least 50% more options, especially where desserts are concerned. The service was basic and efficient. Empty plates were quickly taken away and there were plenty of employees filling up the dishes and wiping down messes anyone had made when serving themselves. All in all, I would gladly eat at the Evergreen Vegetarian Restaurant again.